Reporters is an Upcoming Tv Show which is going to be Launch soon on Sony Tv Hindi Entertainment Channel.This show is staring from 13th,April,2015. Reporters Tv serial is being produced by Rose Audio Visuals Pvt Ltd. Reporters Tv serial is focusing on the world of Media and told us how news are created in a Newsroom by Reporters. Reporters is Latest Show on Sony Tv which is based on the Media World and Newsroom. Promo of the Show is recently Launched by Sony Tv.We can see the Life of Journalists in this show and How news is created in a Newsroom. Rajeev Khandelwal is acting as Reporter in this show and In the First Promo Rajeev Khandelwal Telling the Viewers that Kuch khabre hoti hai kuch banani padti hai… (some are news while some are manufactured). 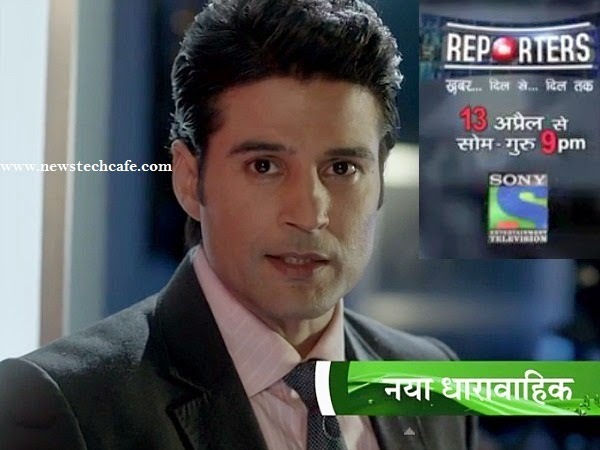 Promo of the Latest Tv Show Reporters is released by Sony Tv and You can watch it below.In Promo Rajeev Khandelwal and Kritika Kamra are Looking Nice as Journalists.Stay updated with Us for More News about this Show. Show theme sounds promising. I would really love to see how Rajiv Khandelwal pulls this character.